Like last year, my west coast son and family invited me to visit them while they were at Park City for a vacation of skiing. 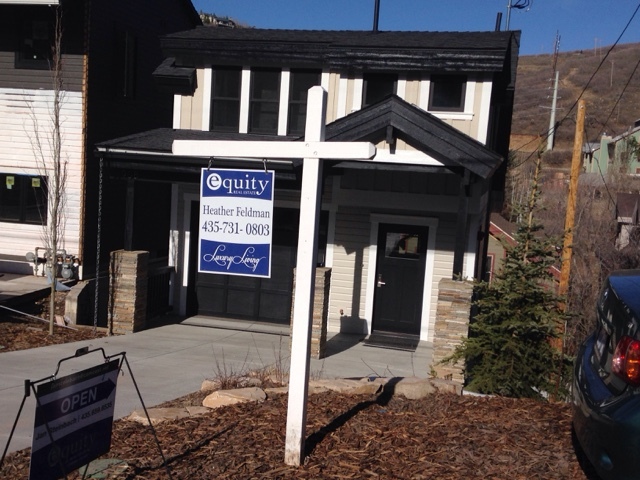 This year they rented a house in downtown Park City close to the ski lift in the center of town. Last year they stayed at a hotel and I stayed in Salt Lake City and visited them intermittently from their. I didn't bring chains last year and wanted to stay away from the snow. This year I brought chains that are good for snow and off road. I arrived on Saturday, 3/19/16 (Day 76) and stayed until Thursday, 3/24/16 (Day 81). 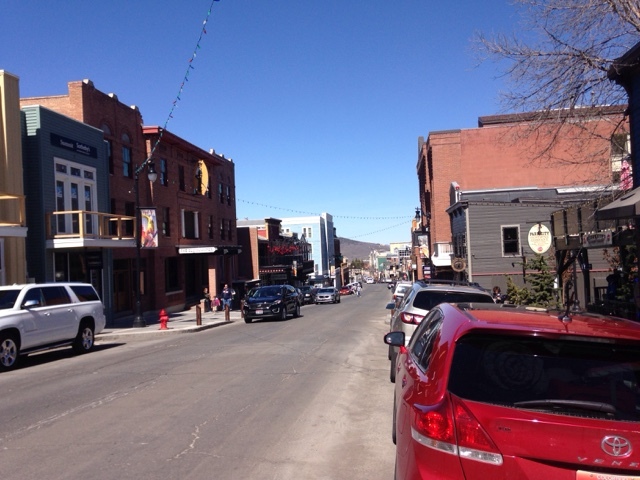 During this time visiting the family I got to spend some time in the Park City downtown area. I also went to a few local places, and got to go snow tubing. I used to ski when I was young but it became expensive so I stopped. I wouldn't ski anymore after breaking my ACL years ago. When I arrived there was only piles of snow in the shaded areas. Main Street is dead during the day and come dinner time it can be hard to get a seat at any number of good restaurants. There are also many shops in town. This house nearby the rental house where I stayed was over $2M. Where I live in MA this same house may sell for $175K to $200K as there is no land for a yard. 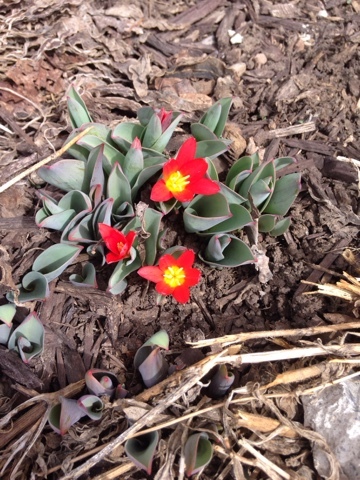 This lonely plant with flower blooming foretelling spring will soon have a rude awakening in a couple days. Here is where I met up with family after their day of skiing. 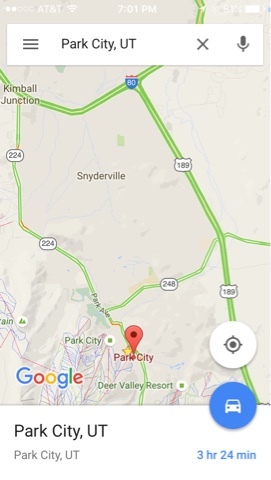 It's only a 12 minute walk from the rental house and if you choose there is a free bus. 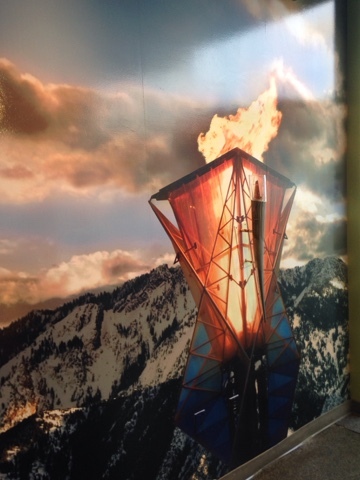 I decided to go to the Salt Lake Olympic area and was surprised to find a pleasant museum of the event. 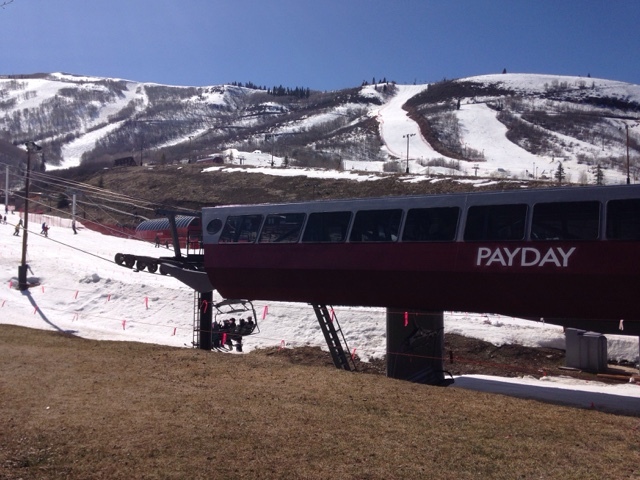 It is located near I80 and Park City and it is home to the ski jumps. The XIX Winter Olympics were held here in 2002. 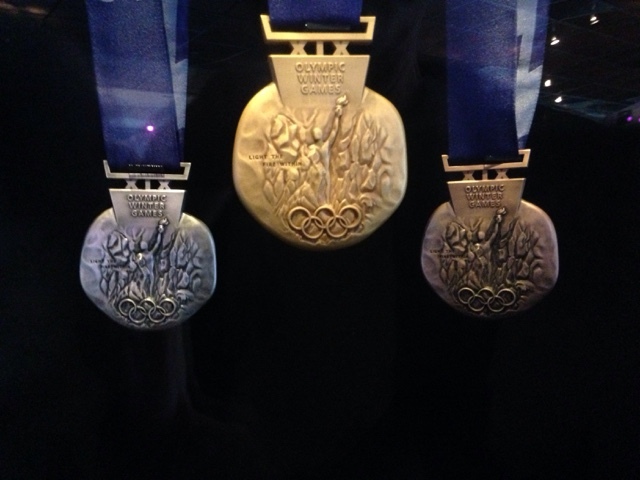 This is a display of the Gold, Bronze, and Silver metals awarded at the game. Although it was above freezing in the 40's most days it was cold at night. I woke this morning to find it had snowed. 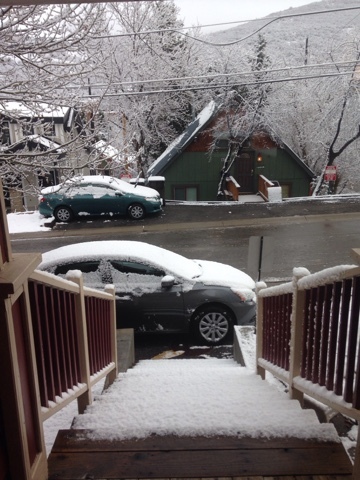 The Prius was parked for $15/Day (no free roadside parking) in a parking garage and I was walking to the car this morning they were doing avalanche abatement with lows booms at the top of the mountains. 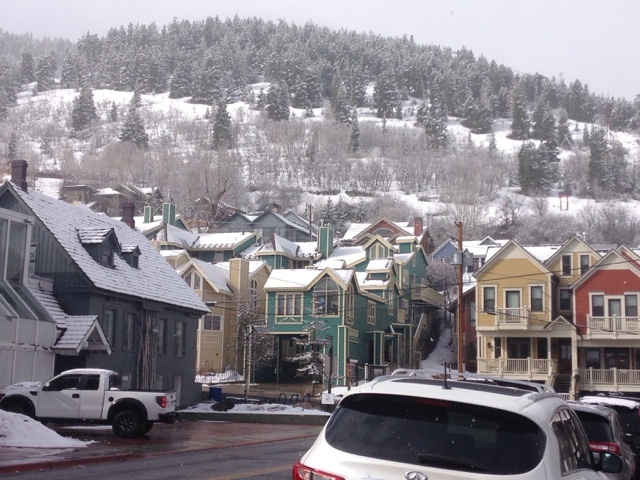 What Park City looks like with a fresh coat of snow. The family all went snow tubing one day and had a lot of fun. They have two different types of tubes. One of a nylon type not that is used on fast runs as it gives more drag. But we got a large snow squal and we couldn't make it Dow the track once the snow built up. The staff switched to a slick plastic bottom tube when this happened and we all packed the snow and made the runs fast again. It was crowded just before the snow fell and lots of people left not knowing the tubes would be swapped. The people cleared out and we just about had the runs to ourselves. It was a great time visiting the family for the week but I look forward to going south to seek warmer temperatures before starting my way home soon. PS I didn't need to use the chains on the Prius because of the snow. Love all the Olympic items!